We Aare currently living in a man eat man society where some people are working around the clock to take away other people hard earned cash. 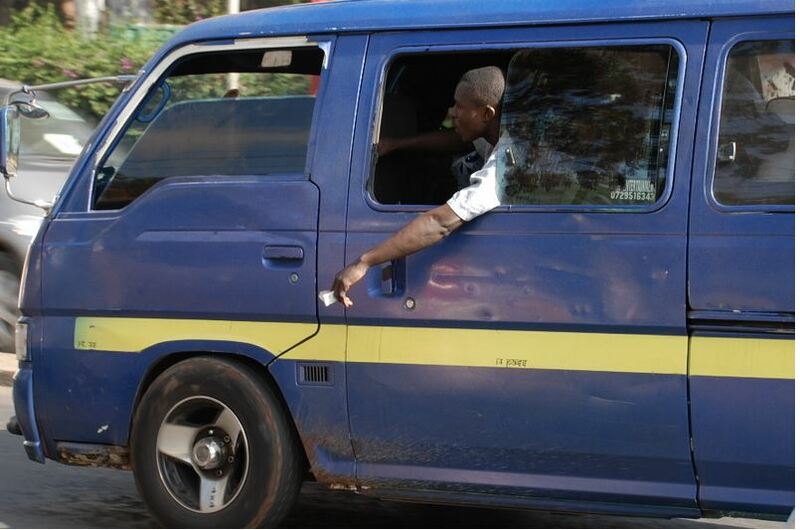 Here are some tricks used by some of the cons in Matatus mostly in the CBD. 1. Guys dropping coins in a matatu and as you help pick, your pockets or bag is being emptied. 2. In matatus guys suddenly shouts there is a crackdown and people should fasten the safety belts, as you struggle to look for yours,your pockets are being emptied. Some even pretend to help you fasten the belt while their other hand is busy in your pocket or bag. 3. Beware of guys reading newspapers in matatus spreading them to you or carrying big envelopes (x-ray type) and placing them covering you or part of your bag or pocket.4. You meet a guy(s) in town asking for KCS(KENYA CHARITY SWEEPSTAKE) house with a heavy meru accent. Tells you he has won 100k or 200k and shows you the ticket. Tells you since he doesn’t have the id you collect the money for him and take maybe half or quarter (depending on how greedy he thinks you are). You go to the offices but before you get in he insists you have to leave him some security since he doesn’t know you, either some money or valuable, maybe fon. The card is fake, umeibiwa. 5. Some guy dropping an envelope with cash, another picks and tells you to go and share, they will either take you to a corridor and rob u or give you the envelope to go into a kanjo toilet to divide but they will insist you leave them with your valuables. The envelope contains papers and single visible note money. 8. A person stops you and asks for directions to a Media house or stadium or uhuru park or childrens home where he says he is headed and he is a popular man of God. Before you tell him anything another person (accomplice) passes by and pretends to know him from the good work he does for charity and helping people. You are then told a lot of problems that you have and told to either pray somewhere or help a beggar leaving you belongings to them, or some brainwashed and part with money. 10. You receive a call from a person claiming to be from safaricom and wants to activate an M- pesa service for you where you can reverse money directly in case you send it to a wrong number. He tells you to go to ATM withdrwal in the mpesa menu and key in either 555 555 or 286286. (Pesapoint and equity agent numbers respectively.) you get an authorization code which they tell you to read for them to finish the activation of the service for you. They even warn you that your pin is your secret and you should not even give it to them. NB: M-Pesa ATM withdrawals only require the authorization code and your number for the transaction. With that the conmen clear your account.